October 2018 marks the ten-year anniversary of the Wizards Play Network—the organization through which your local game store gets promo cards, products like Signature Spellbook, and so on. If you've ever been to Friday Night Magic or a Prerelease, you've been to a WPN member store. The WPN has been constantly evolving across its ten-year history, and it's my pleasure to introduce the latest step in that evolution: Magic Weekend, a rotating, quarterly, mid-season event. In a way, Magic Weekend is less of an event than it is a category of events. Think of it like Battlebond or Conspiracy. We call products like these our "Draft innovation" sets—sets that get to break the rules a little, that get permission to do things other sets can't. They happen once a year, and they're different each time. Magic Weekend is the in-store play equivalent. It's our "innovation" event: a space for us to experiment, once per season, with new ideas, formats, and even prizes. The features will be new each time. On November 9, Ravnica Weekend: Guilds of Ravnica will be the first of these. It began with a simple idea we'd never tried before. We thought, there are events for players who want a social experience, for players who want competition, for players who want something in between. But what about players who want flavor? What would that event look like? What would the format be? What sort of prizes would we send out to stores? We're going to find out in just over a week. Right now, local game stores around the world are planning for Ravnica Weekend: Guilds of Ravnica and scheduling events for Ravnica Weekend: Ravnica Allegiance. These events represent two variations on the same theme—they're both all about Ravnica, each in their own way. Ravnica Weekend: Guilds of Ravnica runs from November 9–11. We expect these to be more like social events. The format is casual four-pack drafts (think of all the Guildgates! ), Guild Kit battles, and D&D sessions based on Ravnica (taken from Guildmaster's Guide to Ravnica). The prizes are foil basic lands and 11" x 14" prints—both of which celebrate the set's five guilds. Ravnica Weekend: Ravnica Allegiance happens February 16–17, 2019. It's more of a tournament. The format is either Standard, Draft, or Sealed (your LGS will decide when they sign up with us), plus more Guild Kit battles and D&D sessions. The prizes are massive: foil full-art rares, a playmat, plus more guild prints and foil guild lands. 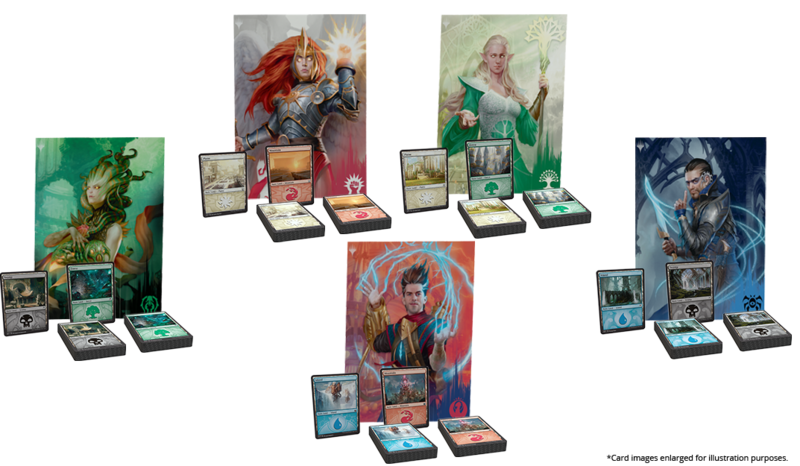 If those prizes sound familiar, you may know what's coming next: we've collapsed promo items for Ravnica Weekend: Ravnica Allegiance and the Store Championship into one kit, and the Core Set 2019 Store Championship that happened last September will be the last event of its kind. These two events are just the tip of the iceberg. At each new Magic Weekend, you can expect new ways to play the game that we all know and love. See you there on November 9!